32 Delicious Salad Recipes for Rapid Weight Loss FREE for Kindle! You are here: Home / freebies / 32 Delicious Salad Recipes for Rapid Weight Loss FREE for Kindle! If you’re trying to lose weight, you’ll love today’s Kindle freebie! Get 32 Delicious Salad Recipes for Rapid Weight Loss FREE for Kindle! It includes easy, step-by-step instructions for quick and healthy recipes and nutritional information, too! Thrifty Cook: Light Meals and Lunchboxes – FREE! Easy Gluten Free Slow Cooker Recipes – FREE! The Paleo Aficionado Dinner Recipe Cookbook – FREE! The Paleo Summer Survival Guide – FREE! 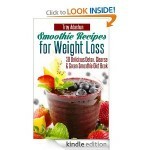 Smoothie Recipes for Weight Loss FREE for Kindle! 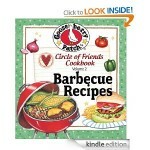 Circle of Friends 25 Barbecue Recipes FREE for Kindle!